Today we’d like to introduce you to Richard Alonzo. I grew up watching Saturday morning Kung Fu Theater with my brother, so martial arts classes were a natural solution for my parents when high schoolers in my school’s neighborhood would bully kids on campus after school. I don’t recall whether or not the school was able to do anything about it. I left that school a year later, but martial arts remained a part of my life long afterwards. My dad made my brother and I practice, even between summer classes at LACC. Our test for black belt included breaking a brick with our hand, and up until that point, I had little difficulty with that aspect of training. When people see the brick break video or picture, they’re often surprised to learn that I actually failed my first black belt test because I couldn’t break the brick. To me, it’s become a lasting metaphor for overcoming obstacles. Teaching martial arts was one of a few jobs I could have that allowed me the flexibility to be a caregiver. It also became my sanctuary from the emotional rollercoaster of my mom’s battles. I taught adult & kids classes at a martial arts school in West LA, and returned to my teaching roots working with kids in after school programs in Culver City. During one of our many conversations, I expressed to her my reluctance at being seen as a role model. It seemed like too much pressure to be perfect all the time. Having been a professor herself in the Philippines, she helped me to realize that if I was going to be working with children, being seen as a role model really wasn’t up to me. She made me take my audience I had with children more seriously than just a part time gig. It was then that I added Child Development to my background, and it’s had a huge impact on my success with them. Alonzo Martial Arts – what should we know? What do you guys do best? What sets you apart from the competition? Having lived it myself, I’m inspired by the impact that martial arts can have on kids that goes beyond what we learn in class. I started teaching kids when I was in college in 1991, at after school programs in inner city schools in East Oakland. Following work doing stunts with the Mighty Morphin Power Rangers Live Action Tour in 1995, I returned to Los Angeles and started teaching at one of my teacher’s schools in Santa Monica. Once again, I returned to teaching after school programs, one of which was in Watts. In 2001, I started Dojo2go.com to bring professional quality instruction to after school enrichment programs and summer camps. I consider my time in after school programs since then as my Research & Development for an evolving teaching method. I later expanded it to make the experience more age-appropriate for kids as young as 3.5 years old, after completing a number of courses in Child Development. In two decades of teaching, it occurred to me that there was a gap in my students’ understanding of how and when to defend themselves against bullying. So after a lot of research on the subject, and I developed what has been proven to be an effective anti-bullying protocol that are not only featured in my kids classes and after school programs, but at my seasonal Anti-Bullying Camps. I’m currently offering these anti-bullying programs at seven local schools, including Curtis School, Methodist Preschool in Pacific Palisades, and Hill An’ Dale Family Learning Center in Santa Monica. I opened Alonzo Martial Arts in Santa Monica in 2010, teaching these same protocols to kids, and offering classes to adults, teens, and home schooled kids. In fact, Alonzo Martial Arts is the only martial arts school vendor in the region for Innovative Education Management, which means that home schooled kids can get their PE Credit empowering themselves with martial arts classes! 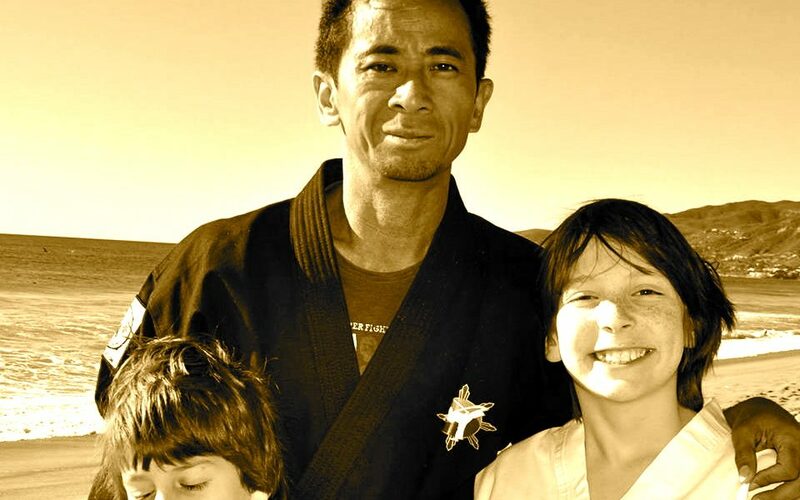 In martial arts, and in particular, educating kids, we realize that success is a process. It’s more of a journey than a destination. In an era of instant gratification, success is glorified without giving much credence to the necessary failures that finally resulted in that success. Society is likewise quick to ridicule failures without pointing out the courage it takes to risk that failure in the first place. One of the first TED talks I ever saw was Angela Lee Duckworth’s TED talk on Grit: The Power of Passion and Persistence. It had a profound impact on how I approach success and the success of my students. A growth mindset allows us to not dwell on our failures, but instead to take pride in the lessons they can provide us. I’ve arrived at an appreciation that a process without adversity isn’t one that fosters valuable lessons. Facing fears is an eventual obstacle on the road to success, and martial arts is great at providing the opportunity to face them often. Where successful board breaking lessons can teach a student to believe in themselves despite a rational fear of injury, sparring provides a turnover rate for success & failure that is unrivaled in how often one can succeed and fail in the span of just one three minute round!